Mobile phones or smartphones as we call today have become an important instrument for communication. Today we can chat with our friends and family members residing in distant corners of the world using our mobiles even on the go. In fact, mobile phones serve as a multi-purpose device through which we can talk, listen to music, play games, watch movies and videos and can also share pictures, messages and other images to our near and dear ones. A mobile application development company creates different types of apps which make our smartphones perform our desired activities by simple clicks. In this post, we will mainly focus upon those apps which enable in transferring various contents seamlessly to other mobile phones running on different operating systems. While purchasing your new phone by discarding the old one you may worry about your contents saved in your device. The contents may include anything-contacts, pictures, videos, messages, chats, and other official documents. In order to retrieve your previous records, you need to transfer the data to your new device. Here also you may encounter some hassles as different phones have their respective OS. So you need to search for some quality phone transfer apps and for that, this article seems to be highly relevant. Now let us go through the following sections and find out how to transfer data using apps from one phone to the other. From the name itself you can easily understand that Samsung Smart Switch has been created for transferring data from the old device to your Samsung Galaxy Smartphones. The contents which can be transferred using this are photos, contacts, messages, notes, videos, music, calendar and lots more. Transfer from an iPhone: If you are using an iPhone then you can use iCloud backups over WiFi or carrier network. Types of contents you can transfer: Call logs, photos, contacts, calendar events, alarm, WiFi settings, browser bookmark, and app list. Transfer from an Android device: Simply by using WiFi you can transfer the data. You need to put two Android devices side by side within 10 cm. Then you need to open Smart Switch apps on both devices and can then select the required content you wish to transfer. Your old device should have Android OS of 4.0 or above and your new one should have 4.1.2 or above. The HTC Transfer Tool has been designed specially to share contents from your old HTC phones or other Android devices to your new HTC mobile. Through this app, you can easily transfer bookmarks, photos, wallpapers, messages, contacts and display settings. You can use Android devices running on 2.3 version or above. If you are owning a Moto G then Motorola Migrate would be the most appropriate one for you. With this app, you can migrate data to your new Motorola phone from Android, iPhone through iCloud and even non-smartphone through Bluetooth. From non-smartphones you can only transfer contacts using bluetooth. From iPhones using iCloud you can transfer calendar and contacts. Similar to other data transfer apps mentioned above, LG Backup is also used to migrate data to your new LG G2, G3 and above from old Android phone and tablet. Using this app you can move calendars, bookmarks, messages, contacts, videos, document files, music, voice memo, etc. The version for Android has to be 2.3 or later. Are you facing serious trouble in transferring files from an old phone to your new Sony Xperia? No worries, Xperia Transfer Mobile is here for you. This is an ultra easy and simple app which can help you to copy MMS, SMS, notes, music, calendar and other vital documents from old iPhone, iPad, Android phones, Windows mobiles to your new Sony Xperia. You can transfer from al iOS devices running iOS 4.0 or above, Android running 4.0 or later and Windows Phone 8.0 and above. The Xperia phones should have versions of Android 4.3 or later. This app is considered to be the world’s fastest app for transferring music, videos, documents, files across Android, iOS and Windows PC. It helps in data transfer wirelessly. You just need to install this app and can then start sharing your wishlist to your preferred device. This is another suitable app for data transfer between your Android phones. To use this app, you have to install it first and then have to connect both of your Android phones. Next, you have to click the Switch option and then select apps. Lastly, you have to click on Start Transfer and complete the process. Using this app contacts can be transferred from Android to iPhone in one click. You can transfer calendar, photos, videos, contacts, music, and messages from Android to iPad/iPhone. The transfer will be completed in less than 10 minutes. This app is fully compatible with Mac 10.12 and Windows 10. It also works well with all major providers like Sprint, Verizon, T-Mobile, AT&T. It seamlessly works with Google, HTC, Apple, Samsung, LG, Sony, Motorola, Nokia, ZTE and other tablets and smartphones. This apart, it also enables easy transfer from iPhone X, 8, 7, 6s, 6plus, SE, 5S, 5C, 4S that run on iOS (11,10,9,8,7,6,5) Nokia, Samsung. Conclusion: There are plenty of mobile app development services which help in creating apps that enable in smooth data transferring from one mobile to the other. 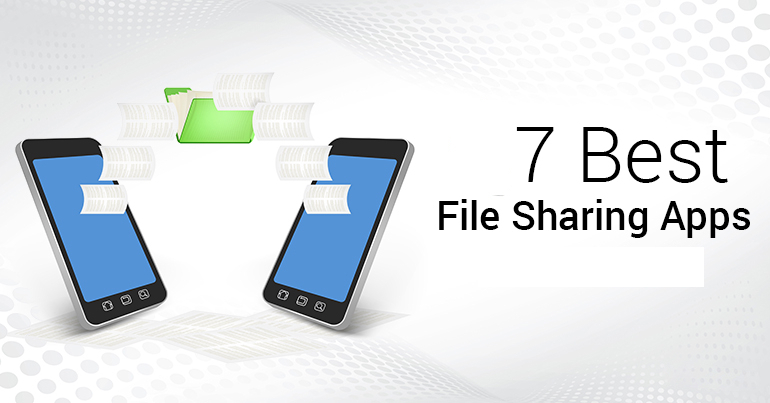 This post will give you a brief idea about 7 most popular apps to migrate your data and important documents so that you can make your new phone effective for your multiple purpose. Author Bio: Mr. Arup Roy is the CEO of Red Apple Technologies, a popular mobile application development company. He takes all the necessary steps so that the services that his company offers do not fail to meet the proposed objectives. He is also an avid reader and loves writing technical articles to make people know about services that can transform their professional work lives.